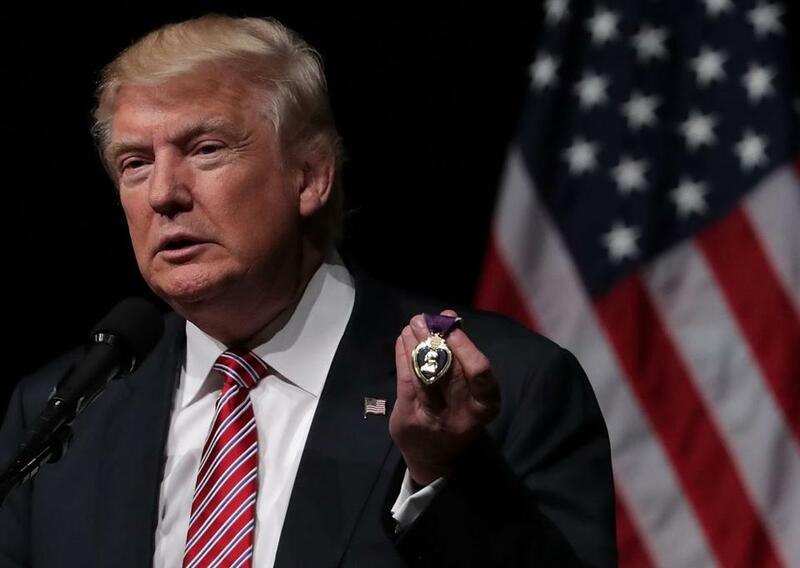 Republican presidential candidate Donald Trump held a Purple Heart that he said was given to him by a military veteran during a campaign appearance last week. There was a high-end fund-raiser for Donald Trump on Nantucket over the weekend, where donors were asked to fork over as much as $50,000. Cameron Kerr, a prolific but neophyte fund-raiser, couldn’t make the island gig, or another Trump fund-raiser at posh Oyster Harbors on the Cape. Still, the 29-year-old Kerr, a Massachusetts native, has raised more than $50,000 in Trump’s name in just five days. It’s money Trump will never see. To understand this, you have to go back to Stow, where Cameron Kerr grew up and decided to join the Army. He joined because of what he saw growing up. His parents mentored the orphans of African civil war, the Lost Boys of Sudan. He became friendly with a lot of the Lost Boys who resettled around Worcester. Kerr was deeply affected by their stories of loss and survival, the kindness that Americans showed in helping them resettle, the Lost Boys’ resilience. He joined the Army to combat extremism, to protect the innocent, to hold accountable the very sort of people who would murder the families of his friends, the Lost Boys. 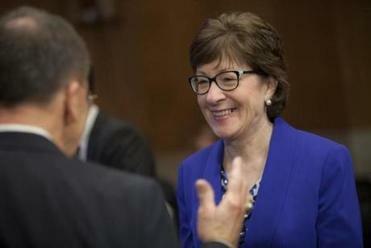 Senator Susan Collins of Maine is another person on the list of Republicans who say they won’t vote for Donald Trump. He went to college, learned Arabic, got a degree in Middle Eastern studies and Islamic culture, joined ROTC, and was commissioned as a first lieutenant in the 101st Airborne, well suited for the wars in Iraq and Afghanistan. And then, five years ago, he stepped on an IED buried in the dirt of Afghanistan. On the day doctors performed the first surgery that would lead to the amputation of Kerr’s lower left leg, a general pinned him with a Purple Heart at Kandahar Airfield. Last week, in Virginia, not far from where Kerr now works as a security analyst, a retired Army officer handed Donald Trump his Purple Heart. Kerr had no problem with the retired lieutenant colonel handing over his medal. The more he thought about Trump accepting a Purple Heart, the more Kerr thought back to that day he was lying on his back in Kandahar, his foot ripped to shreds, his heel bone blown off, never to be found. He remembered the soldiers, those he considers his brothers, who rushed to his side with little concern for their own safety. They were white and black and brown. The medic who tied off his leg was a Mexican-American from Chicago. One of the soldiers was born in Guatemala. Muslim Afghan soldiers helped bring him to the hospital. “A lot of the people who helped me are those Trump wouldn’t let in the country or wants to throw out of the country,” Kerr said. Kerr responded to all this not with anger but satire. He put up a GoFundMe page asking people to donate money to send Donald Trump to a combat zone where he could earn a Purple Heart. “I figured I’d get 150 bucks,” Kerr said. By Monday, after various news outlets picked up his story and it spread on social media, more than 2,000 people had donated more than $54,000. Kerr’s online plea stresses that the money is not going to Trump, but to organizations working with Syrian refugees and with refugees in other conflict areas. Kerr said Jon Stewart, the comedian, inspired him. Kerr is tickled that Trump is unwittingly raising money to help refugees.